Chris Brookmyre (or Christopher to his mum), is a massively successful Scottish-born crime fiction author of more than fourteen published novels. He’s perhaps best-known for his novel Quite Ugly One Morning, which won the Critics’ First Blood Award for Best First Crime Fiction in 1996, among other accolades. 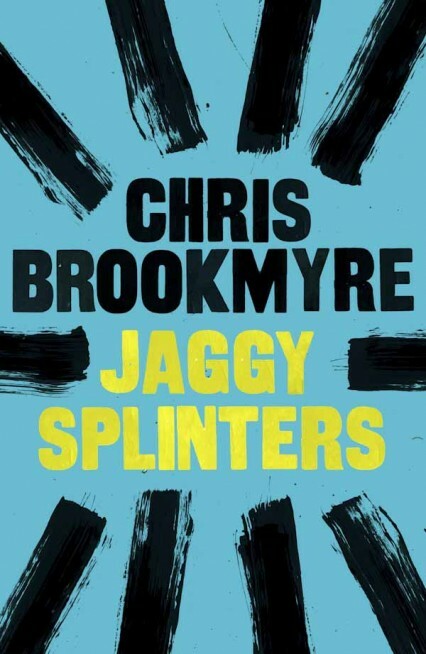 Up until late 2010, his covers were designed by the excellent Brighton-based design studio, Crush. You can still find their designs on some of his paperbacks, but Mecob was lucky enough to be asked to look at his hardback look. Working with that look and trying not to alienate his existing readership, we elected to stay simple and graphic but try and be subtler in an effort to take his books slightly more upmarket and more serious. Hence the looser, painterly marks suggesting ideas rather than depicting them obviously. 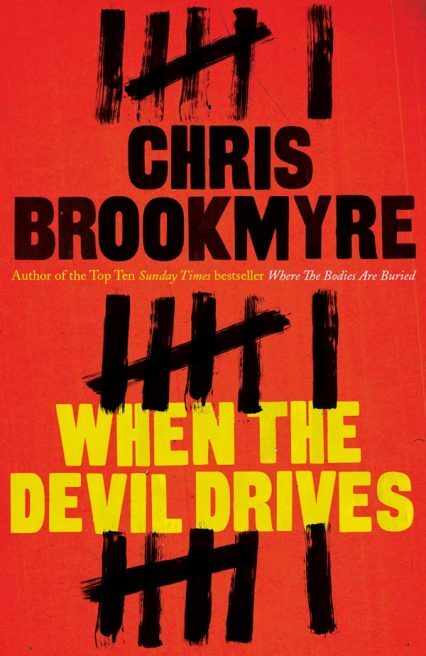 The brief was to appeal to commercial crime fans of people such as Mark Billingham, Ellroy, Stuart McBride. 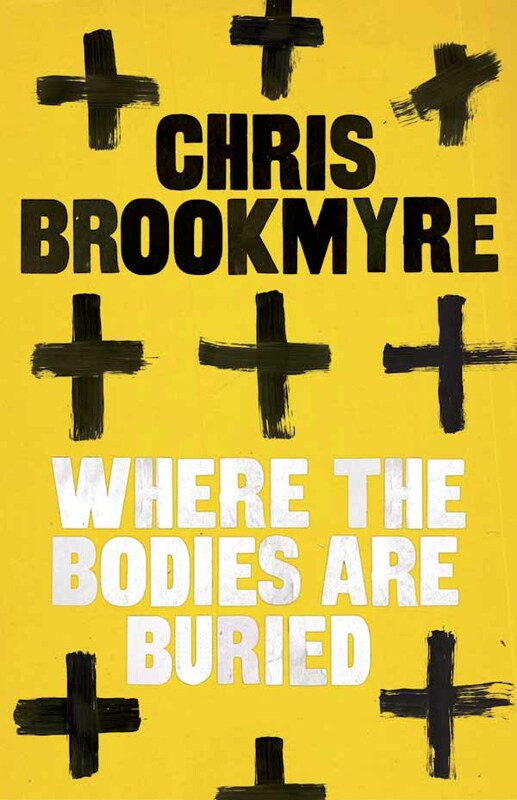 Where the Bodies Are Buried was the first, for which we looked to suggest ‘X marks the spot’, graves or even a religious connection around the jacket in a strong yellow and black combination. Although there wasn’t much to read at the time of briefing, we played on the idea of killer’s marking their territory or leaving a trail in an urban environment. 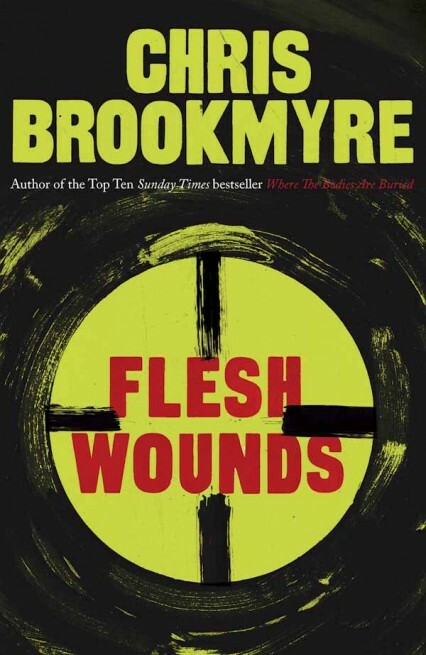 The look went down really well, positively affecting Chris’ sales, and transferred to his next two hardbacks and an ebook – When the Devil Drives, Flesh Wounds and Jaggy Splinters. Not bad for a studio which doesn’t really specialise in mainstream crime!